Weight training for MMA is any variation of lifting weights or muscle building exercises that make a fighter stronger. It can give a fighter a big advantage in key moments of a fight. For example, if strong fighter was on their back with their opponent on top, they could use their strength to potentially alter their position to a more favourable one. A weaker fighter may not be able to do anything, virtually becoming stuck in that position. Strength can also be a big advantage up against the cage, allowing that fighter to take the fight to a position their more comfortable with. Although not as important as technique, weight training for MMA can still help a fighter win a fight by giving them an edge over a weaker opponent. 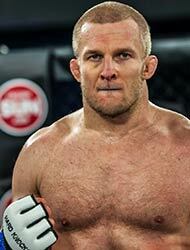 Hard Knocks fighter Alexi Argyriou said the strength a fighter gains from weight training is beneficial for striking power and wrestling while against the cage. “The fighters who take training seriously incorporate weight training into their schedule,” said Argyriou. Depending on the fight, strength can play a big factor into which way the fight swings. “The stronger fighter, who also has good technique, can usually dictate where the fight goes,” said Argyriou. “Weight training is important for a number of reasons, but, to myself, it’s most important for injury prevention. Argyriou said weight training is starting to become part of a fighter’s normal training schedule, just as boxing, wrestling and grappling are. Hard Knocks fighter Justin Basra said it’s important to incorporate weights into your schedule, in some way. “Doing weights helps build muscle stamina and strength, which make it important,” said Basra. Having that extra strength can end up helping a fighter in key moments of a fight, potentially leading to victory. “Being strong can help get you out of bad positions, control positions, and control your opponent,” said Basra. The amount of time a fighter spends on weight training varies, depending on the fighter. Hard Knocks fighter Arjan Bhullar said he usually trains 2-3 times per week, depending where he’s at in his training cycle. “Each fighter is different and has different areas of concentration to focus on to become a successful fighter,” said Bhullar. The weight class a fighter is in can also dictate what type of weight training program they may implement. “This is why I say you need a personalized plan designed to your specific needs, physically and overall. Check out their top recommendations for weight training exercises.